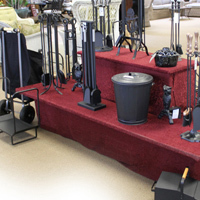 We carry a huge selection of fireplace accessories. 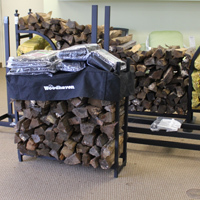 Stop by our showroom to find the right accessories for your fireplace, wood stoves, and more! 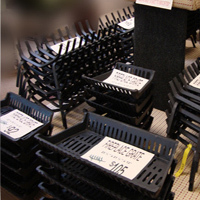 We offer a huge selection of fireplace accessories. 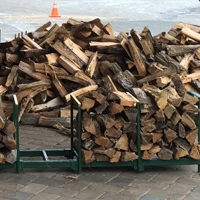 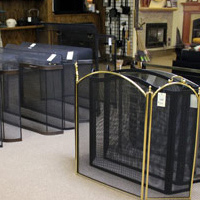 Fireplace doors, screens, firebacks, grates, hearth rugs, log hoops, wood carts, baskets for the wood, canvas bags, tools, tool sets, blow pokes, pokers, tongs, and gas logs are just some of the items we carry. 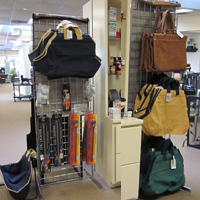 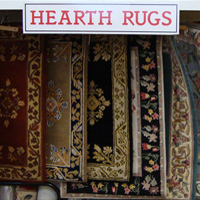 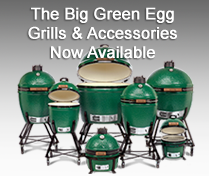 Stop by our showroom to see the latest selection or browse our catalogs to order hard to find items. 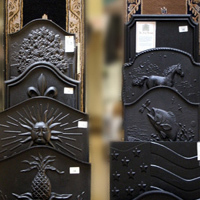 Bringing elegance to your home through fine quality, handcrafted fireplace accessories. 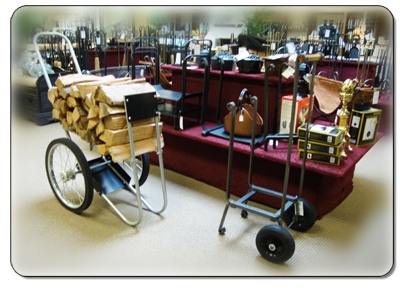 Items shown on this page are just a sample of what we carry. 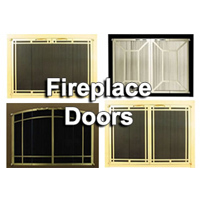 For more information about fireplace accessories, visit our showroom located in Maryland, Baltimore County, just outside Baltimore City, in Lutherville - Timonium at 1616 York Road.